Bozeman Brewing Company is the realization of a dream of Todd Scott and Lisa Danzl Scott. Todd began his brewing career like so many others in the micro brewing industry at home. He began brewing professionally for Napa Valley Brewing Company in Calistoga, California. His brewing education came from UC Davis. After getting his feet wet the couple moved back to the enchanted lands of Bozeman where Todd made beer for Spanish Peaks for 11 years. Bozeman Brewing Company was founded in 2001 and has since grown to produce over 6000 barrels of beer in 2016. 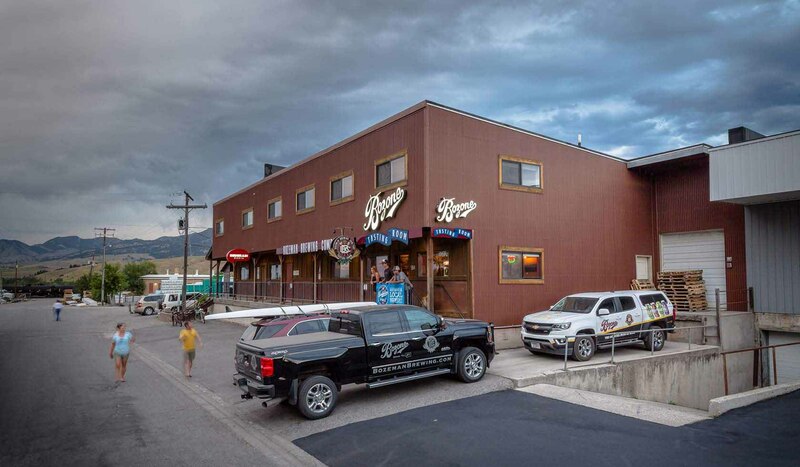 Offering a variety of microbrews, Bozone Amber Ale is the flagship offering from Bozeman Brewing Company. There are four other year round offerings: Hopzone IPA, Gallatin Pale Ale, Two O'clock Wheat and Plum St. Porter as well as seasonal surprises. BBC beers are available on draft at your local watering holes; as well the 5 year around beers and select seasonals are now available in 12 oz. aluminum cans throughout Southwest and Western Montana. Stop by our cozy tasting room for a visit and support the local brew! Specials: Friday - $2.00 off growler refill, 12:00 to 3:00pm. Sunday - support local non-profit, 50 cents of every pint sold is donated to non-profit of the day. Call to sign up!